TCU football welcomed a fellow Big 12 quarterback to their roster Tuesday. 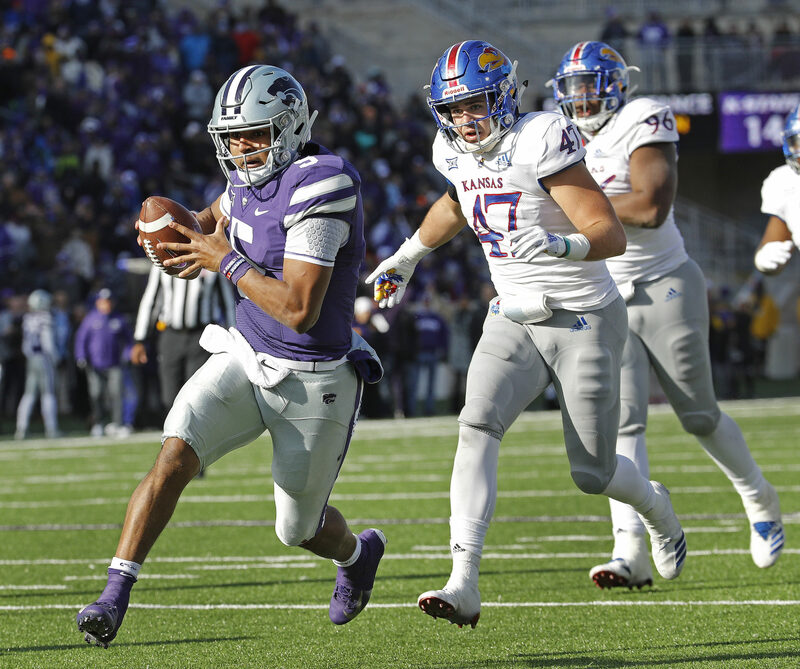 Graduate transfer Alex Delton will join the Horned Frogs after four years at Kansas State where he started six games over four seasons. Delton will not have to sit out a year after transferring because he has already graduated from Kansas State. TCU star wide receiver Jalen Reagor tweeted his excitement about the quarterback’s announcement. Delton made appearances in 20 games for the Wildcats and was the MVP of the 2017 Cactus Bowl. He rushed for 158 yards and three touchdowns in the bowl game to lead the Wildcats past UCLA. Delton marks TCU’s fourth quarterback on the roster for next season and will fight for the starting job with junior Michael Collins, sophomore Justin Rodgers and true freshman Max Duggan. He was originally slated to join the UT-El Paso Miners for his final season of eligibility but flipped to the Horned Frogs Tuesday night. A threat with both his arms and legs, Delton threw for 1,202 yards and five touchdowns while rushing for 11 touchdowns and 868 yards on 213 carries. Delton will be eligible to practice with the team this spring because he committed before the Friday deadline for transfers to enroll in their new schools.